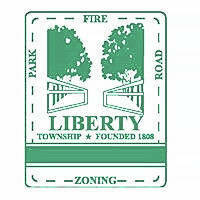 Liberty Township trustees have adopted a policy that will govern the manner in which the township handles investments. Fiscal Officer Nancy Denutte started the discussion in July when she presented a standard investment policy to trustees. She told trustees that she couldn’t find any documentation regarding an investment policy for the township and thought it would be prudent to have one on file. A resolution approving an investment policy was tabled by trustees while Denutte and staff reworked the standard language to fit the investment ideas of the township. “I like how you took it from a boiler plate to customizing it a bit,” said Trustee Melanie Leneghan. A copy of the policy will be filed in the township fiscal office and with the Office of the Auditor of State. Trustees heard a presentation from Jason Click, president of public funds of Meeder Investment Management Inc., who discussed the management of the township’s investments. According to Meeder’s website, the company is an investment management firm from Dublin, Ohio that works with both groups and individuals to devise investment strategies and management solutions. Trustees entertained a similar discussion from Click in July. He suggested to trustees that Meeder would only manage certain funds for the township, ensuring a maximum return of interest. However, Mitchell voiced concerns about putting township funds at risk. After meeting with Click he was more at ease with Meeder managing township investments. Denutte spoke up before trustees officially approved the resolution entering into the agreement. “Just so you know to date, right now, the township has made $73,000 in interest income for the first three quarters,” she said. In an effort to reduce costs, time, and space, township staff recommended entering into an agreement with ComDoc, a Xerox-owned company that offers electronic document storage and management service. The proposed contract is five years. Fire Chief Tom O’Brien said he hadn’t used ComDoc. Denutte said she thought they were nitpicking about the contract. Mitchell also thought the duration of the contract was long, but agreed with Denutte. “We should be using something like this in this day and age,” he said. After reviewing the contract and weighing options, trustees decided to approve the five-year contract, not to exceed the cost of $32,454. This entry was tagged Delaware County Ohio, Denutte, Leneghan, Liberty Township, Mitchell. Bookmark the permalink.